ALCI is an abbreviation for Appliance Leakage Current Interrupter. ALCI safety plugs are ground-fault interrupters built into appliance cords or plugs and are designed to prevent electrical shocks. 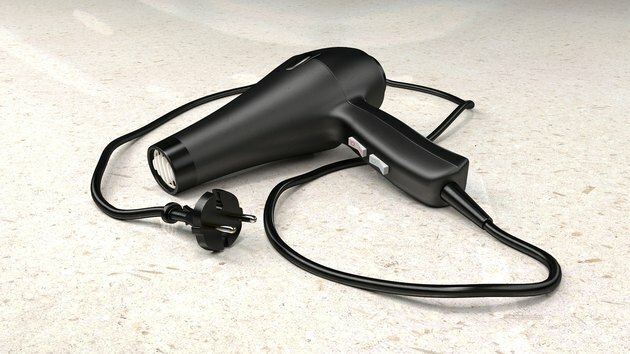 ALCI plugs are found on a variety of appliances, including portable heaters and many hand-held devices, such as hair dryers. ALCI plugs are not designed to replace ground-fault circuit interrupter (GFCI) outlets and are designed for use on household circuits with grounded neutral conductors. ALCI plugs are found on appliances used near moisture, such as hair dryers. ALCI plugs function by monitoring the current between the hot and neutral conductors in the appliance. If the device senses an imbalance of current, indicating a short (power following an unintended path), it cuts off power to the appliance in a small fraction of a second. An ALCI responds much more quickly to a fault than a typical circuit breaker. ALCI plugs are identifiable by a "Test" and "Reset" button. These are typically red and yellow or white. The "Reset" button trips automatically in response to a fault condition and must be re-engaged manually (by depressing the button) after the fault is removed. The "Test" button trips the reset when depressed and is used as a manual test for the device. The ALCI device is housed in a plastic box that is integrated either with the plug itself or with the cord. A similar safety device to the ALCI plug is the IDCI, or immersion detection current interrupter. An IDCI device trips and shuts off power to an appliance that becomes immersed in water. It's important to note that the presence of any current-interrupting devices in no way implies that the appliances should ever be used in a shower, tub, or anywhere else the unit may be immersed. IDCI devices cannot be reset, and the appliance must be replaced if its IDCI trips. Ground-fault circuit interrupter outlets are required in wet areas, such as bathrooms and near kitchen sinks, as well as along kitchen countertops, in garages and utility areas, and outdoors. GFCI protection can be provided with GFCI outlets (receptacles) or with a GFCI circuit breaker that protects every device wired to the circuit. GFCI protection is similar to that provided by ALCI plugs, but GFCIs protect against shock from appliances without ALCI devices as well as those with ALCI protection.